Money. It’s a sensitive topic! But if you’ve been around 8 Limbs for very long, you’ll know that we are willing to put ourselves out there and inquire deeply through the lens of our Mission: a commitment to be supportive and welcoming place to learn and grow through the mind-body practices of yoga, and per our Social Justice Mission, to examine, and work to dismantle, the systems of oppression that shape our world. Money is needed to survive in the world we live in. It allows us to house and feed our bodies, to access opportunities and education, to express our creativity through clothing and art, among other things. Conversely, the lack of sufficient funds can keep us from meeting these needs. This can be stressful, even traumatic, while tools to manage this difficulty, such as yoga, can be out of reach. Money is also one way we express what is important to us, to support what we believe in. It’s an exchange of energy. Whenever you spend money, you are putting energy in a particular direction. You are also making a connection. When we deeply consider money, what we are really talking about is VALUE/S – understanding our values, aligning ourselves with our values, valuing what we have to offer, and valuing others, whether or not they’ve come in our doors, or want to. To us, this is a core aspect of social justice work, valuing the inherent humanness of all beings. And that, frankly, is all about connection, which is one of the meanings of the word yoga. Offered anti-bias and anti-oppressive trainings for our teachers and staff, our Teacher Training staff and enrollees, and our community, to raise our ability to be truly supportive and welcoming. 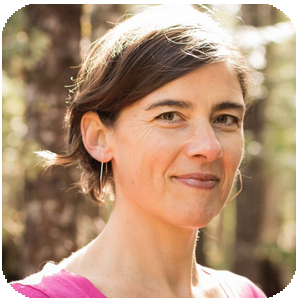 These trainings were offered at no cost to our employees and other Seattle yoga teachers, and through a 3-tiered pricing structure for the public, with Supported, Sustaining, and Supporting tuition options. This gave folks who needed support an opportunity to access the training, and those with the ability a chance to invest in this work. Increased staff and teacher wages in order to meet the growing demands on residents in a quickly changing city like Seattle, and to share business profits. Restructured our internal leadership towards a more collaborative and flattened system to redistribute power and privilege. Increased Teacher Training Scholarships, all targeted at serving folks from underserved populations, because representation matters. Created Access8, a program that reduces financial barriers to classes by offering income-relevant tuition. So far, Access8 has served 35 people. Offered discounts for students, teachers, and seniors to increase access for those with fixed and limited incomes. Monthly by-donation People of Color (POC) Yoga and Queer Yoga. Seeking out offerings such as Yoga for 12 Step Recovery, Trauma-Informed Yoga, and Visiting Teachers who are people of color. Begun to inquire into ways we can create greater accessibility to people who are developmentally, chemically, or mobility-limited. Because we felt a sense of necessity and urgency, we took on more than we could actually manage financially. Now we are bringing our rates into alignment with the commitments we’ve made so that we are able to carry them out in a sustainable way. On October 1st, you’ll see an increase in our drop-in, membership, class pass, and series rates. 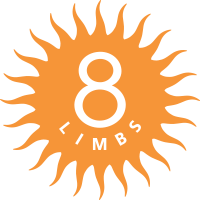 By investing in 8 Limbs you are investing in what we’ve been doing, and what we still plan to do, all while receiving some great yoga. AND you have the month of September to purchase any of these options at the current rates! It may seem counter-intuitive that to create greater access to yoga we are must raise our rates, but additional resources are needed if we want to serve more people. In our internal discussions we sometimes break it into three tiers: Supported, Sustainable, and Supporting. Supported: In order to serve those who need support to access yoga and trainings at our studio, we now offer Access8 and Teacher Training Scholarships, as well as tuition discounts for students, preschool through high school teachers, current or former military personnel, seniors, and small non-profit employees, as well as three-tier pricing for select workshops. Sustaining: Our business is sustained by folks who pay the full tuition amount at our published rates. These are the prices we are increasing on October 1st. Supporting: At this time we are considering whether to offer an opportunity to contribute to our Access8 Program and Teacher Training scholarships, so that we can sustain and expand those programs. If you are interested in supporting us in this work, please email Access8 with “Supporting Access8” in the subject field and we will contact you when we move forward with that option. We still have a long way to go, and more people to serve. We are asking for your support to continue the tough work that our social justice mission promised. As always, please reach out with any comments or questions: annephyfe@8limbsyoga.com.